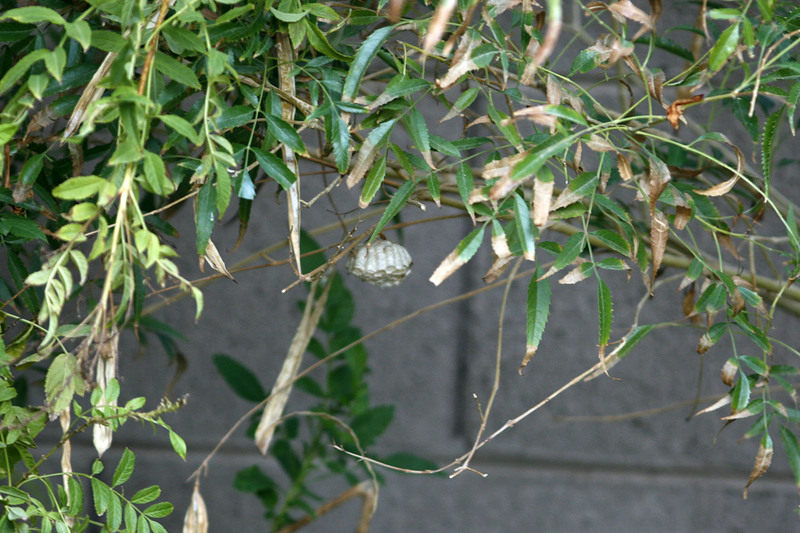 Melanie spotted a wasp nest in the back yard the other day, and its location goes to show how well wasp nests can just blend in. 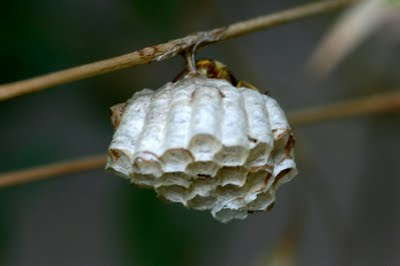 Paper wasps are known for often constructing their nests in conspicuous areas, often under the eaves of houses. 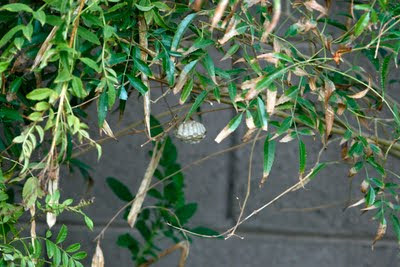 However, they also like to construct them on the under side of branches and limbs, as is the case here. Of course, this picture doesn't do it justice since I photographed it from an unobstructed direction. I didn't see much in the way of activity at the nest the few times I've checked on it. Most wasps are much less active this time of year, and it might be the case for this species as well. 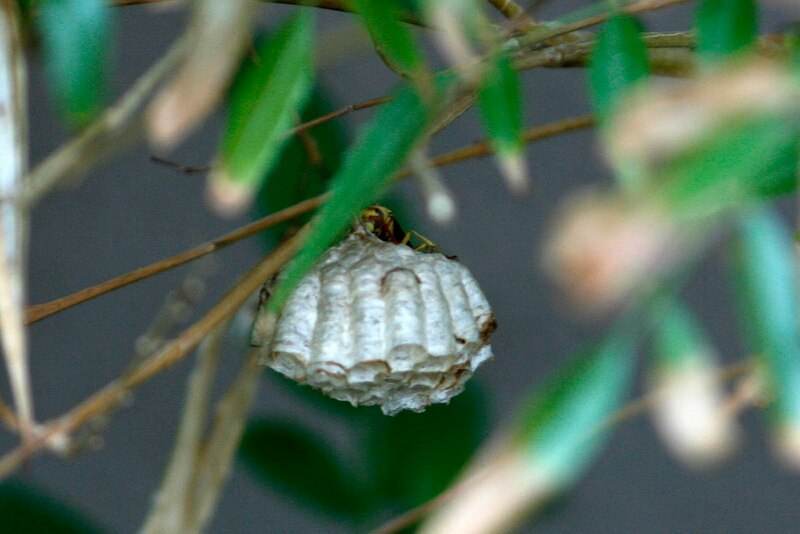 In fact, I haven't been able to confirm the exact species because I haven't gotten a good look, but I am assuming Golden Paper Wasp. Paper wasps are known for having a particularly painful sting, even as wasps go, so I haven't tried to stick my head into the bushes to get a better look. 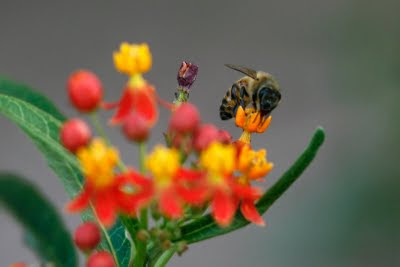 And keeping with the wasp and bee theme of this post, here is a honey bee on a Mexican Blood Flower. Honey bees (most are the Africanized kind around here) are still very active this time of year. In fact, only on the coldest few days of the year do they seem to disappear. The above photo was with a 300 mm f/4.0 handheld. I was unlucky in that it focused on the bee's body rather than his head.